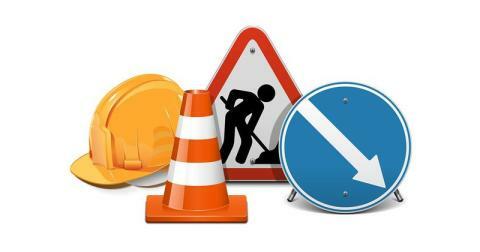 The section of road between Rotary Way and Lidl roundabouts at Arnison Centre will be closed for up to 6 weeks from Monday 24 April. During the closure, northbound stop at KFC will not be served. Services 14 and 50 will serve Sainsbury's Bus Link and southbound KFC stop for all destinations. Service 14 towards Durham - A167 to Pity Me roundabout, Framwellgate Moor Front Street, left to Abbey Road, left to Sainsbury's Bus Link, serve link bus stop, right towards Lidl roundabout, right at Lidl roundabout, serve KFC southbound bus stop, right to Abbey Road, left to Framwellgate Moor Front Street and normal route. Service 14 towards Langley Park - from Framwellgate Moor Front Street, right to Abbey Road, left to Sainsbury's Bus Link, serve link bus stop, right towards Lidl roundabout, right at Lidl roundabout, serve KFC southbound stop, right to Abbey Road, to Framwellgate Moor Front Street, right to Pity Me roundabout and normal route. Service 50 towards Durham - A167 to Pity Me roundabout, Framwellgate Moor Front Street, left to Abbey Road, left to Sainsbury's Bus Link, serve link bus stop, right towards Lidl roundabout, right at Lidl roundabout, serve KFC southbound bus stop, ahead to normal route. Service 50 towards South Shields - from Pit Lane, left to Abbey Road, right to Sainsbury's Bus Link, serve link bus stop, right towards Lidl roundabout, right at Lidl roundabout, serve KFC southbound stop, right to Abbey Road, to Framwellgate Moor Front Street, right to Pity Me roundabout and normal route.